The team at Oberon Lane are the wedding music specialists, offering a completely customised musical experience for your big day. Acoustic duos, string quartets, party bands, DJs, and more. Oberon Lane is a boutique entertainment agency based in Sydney, Australia. Oberon Lane has a huge network of bands, solo artists, DJs, and musicians that are perfectly suited to your event. Whether it be one of our wedding ceremony specialists, or our club party DJs, Oberon Lane has an immaculate reputation for only offering the best in the industry. Sydney, Blue Mountains, Mudgee, Southern Highlands, Central Coast, Hunter Valley, Canberra, Hobart, etc. Need music for your private function or corporate event? Oberon Lane has you covered! The Oberon Lane Trio is one the freshest and most unique musical acts to hit the Sydney music scene. With the ability to transform between two different sounds (acoustic to DJ trio) with the same musicians, the Oberon Lane Trio’s unique and electrifying sounds have seen them perform on some of the most prestigious stages and for the biggest brands in Australia. Elle May is one of Sydney's most sought after singers. Her bubbly and confident stage presence sees her gracing the stage almost seven nights a week. From weddings and corporates to chill out Sundays in your favourite bar, Elle May is the perfect artist for your acoustic pop needs. Acoustic duo, trio , DJ duo, or Full Band available. vibes’ is what it’s all about, while offering a fresh approach on your old favourites and a twist on modern hits. 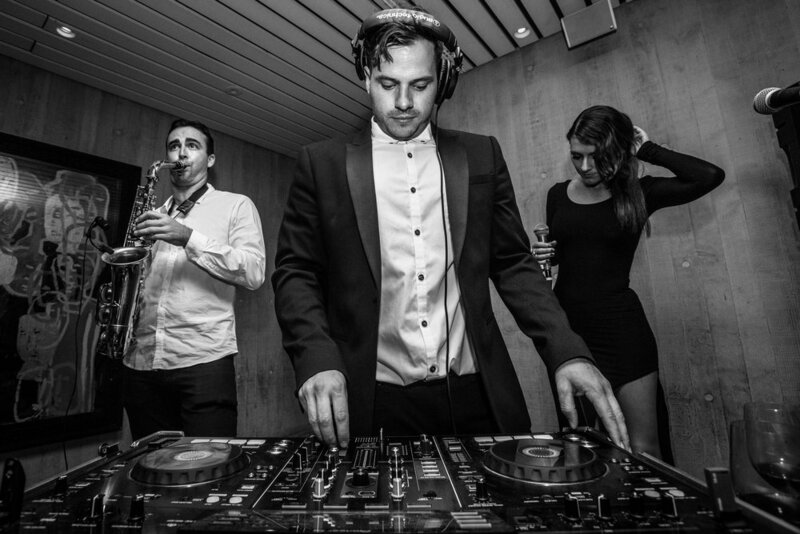 From chilled dinner music to dance-floor fillers, Luke Zanc provides not only professionalism and sweet sounds, but entertainment to your night. Available as solo, duo, trio, and full band. 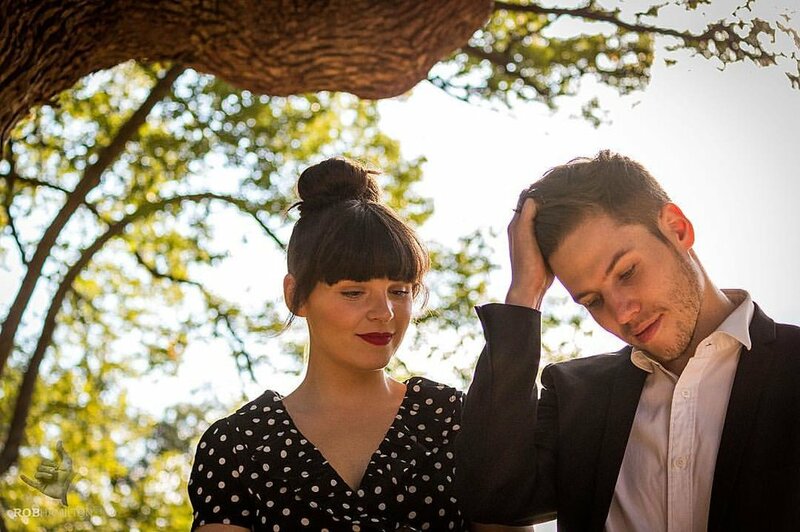 Luxe Duo are super classy, uber talented, and the perfect vibe for your wedding or event. Featuring the sweet vocal stylings of Holly Summers, it’s amazing acoustic duo music for any atmosphere. Laura Bell is the ultimate indie-pop artist, perfect for those looking for a cool 'Triple J' edge with an upbeat vibe. After releasing her EP in 2014, she's gone on to perform at some of Sydney's most prestigious venues, festivals, and more. Available as acoustic duo or trio. The Sunshine Wonders are a two piece rock 'n' roll band from Sydney, Australia. Focused on feel good grooves and catchy melodies, The Sunshine Wonders draw influences from Springsteen to Ed Sheeran and many stops along the way. Erin Marshall is the full package. With over 15 years’ experience in the Sydney music industry, she is an amazing pop vocalist with heaps of style and attitude. Her duo can play anything from chill R’n’B to pumping a dance floor on a Friday night! PLUS, she's also an epic DJ. Ellis Hall is a 19-year-old Aussie who loves to surf and snowboard… and of course sing. Living on Sydney’s Northern Beaches, Ellis Hall’s music influence comes from R’n’B, soul and singer-songwriters such as Jason Mraz, Ed Sheeran, Bruno Mars, and Jack Johnson. Adding to this, Ellis Hall has grown up with a family that taught him the supremacy of music. Tara Del Borrello is a Sydney-based Pop/Soul singer and has been performing professionally for almost a decade. At just 16 years old, Tara achieved a spot in the top 30 of Australian Idol where she made the decision to pursue a career in music. The Oberon Lane DJ Trio are a the dynamic DJ party band from Oberon Lane that can get the party started – anytime, anywhere! Featuring a DJ, Vocals, Percussion and/or Sax, they’ve performed for brands such as Google, Toyota, Virgin, Caltex, Commbank, Australia Post and hundreds more over the past five years they’ve been performing together. Mitch & Tash are an amazingly talented and fresh acoustic duo, playing old school motown and new RnB. Perfect for any event or wedding, they provide a stunning atmosphere that you’d be happy to hear at any garden party or Sunday Pub Session. Marc Malouf is one of Australia's great guitarists and is a rising star of the world music stage. As well as being a well seasoned International Session Guitarist and Vocalist, he is also an award winning Music Producer, accomplished Songwriter, Musical Director and original Artist. Braden Evans is one of Sydney's most unique folk and alternative singers and has an amazing catalogue of tunes. Perfect for anything from weddings to pumping pub rock, his stunning voice is always a crowd favourite. Solo, Duo, Trio and Full Band Available. Since the age of 13, along with her her beloved acoustic guitar, Tash Lockhart has written and played a unique blend of acoustic/soul songs. Tash Lockhart placed 3rd, in the Grand Final of The Voice Australia, under the mentor of Ronan Keating. Pete Raven hails from Chester, England, but has been earning his stripes in the pubs and clubs around Sydney with his amazing voice and huge song list! Playing all your favourites, Raven can play solo, duo, trio and more! Miranda Carey is an amazing vocalist and her duo specialises in classic hits with fresh synths and retro vibes. She also happens to be a cracking DJ and rocks the party at Home Nightclub (including the Ariana Grande party) on the regular. Geoff Rana is a solo acoustic, duo or cover performer from Sydney - Playing commercial rock, pop, top 40 and dance cover tunes for all occasions. Veena Rao Is a vocalist and performer with a unique flavour, mixing Soul, Rnb, Pop and Contemporary Roots and Jazz. Veena began singing long before she made her move to Sydney to pursue her dream. Her sound is hard to just put in one box, her voice has the magic to capture all audiences but her mastership in Soul/Rnb asserts her place as one of the best in the country. Jordan Millar is your acoustic chill specialist. He's been playing music across Australia for the past 10 years and does everything from wedding ceremonies and acoustic Sunday sessions to playing his upbeat John Butler style percussion show at festivals. His voice and acoustic vibe is the perfect fit for your room! Justine Eltakchi is A multi-instrumentalist and has spent the last ten years performing at festivals, bars and venues from Sydney to Rome and collaborating with musicians and artists from all around the world. Claire Howell is singer who gigs around Sydney, and has been writing since a young age, then going to be on The Voice Australia 2016 and making it to the battle rounds. Claire posts music covers on her youtube channel and makeup videos on her other youtube channel, and also has two instagram accounts which have a combines amount of 34,000+ followers. New Zealand native Duan & Only is making waves in the Australian music scene with his unique and soulful sound. Much of his inspiration is derived from Motown and Soul music, but then, there are acoustics and melodies which spotlight Duan's traditional Maori influences and channels Reggae and Dub music. India Rose first came into the limelight on the hit Channel 7 Show the X Factor, where she sung her way to the final six and established herself as a name in the world of music. Since her time on the show, India’s passion for singing has taken her across the world, including tours of Egypt, Dubai and the United States. Oberon Lane has strings players available for your ceremony! Oberon Lane has a special offering that is the complete duo wedding package and if you're looking to sort your entire day of wedding music for an amazing price then this is the way to go! The package includes a duo for the Ceremony + Canapés Set + Early Reception Sets + then switching to DJ mode for the remainder of reception. Jordan Millar & Elle May have been running this package as a special request for a few years now, but is finally opening it for you to get involved. It's hugely popular and in very high demand, so enquire today to find out more and lock it away before it's too late.